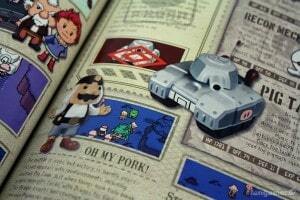 So this is really old news, but I was kind of waiting for Fangamer to make a video about it. 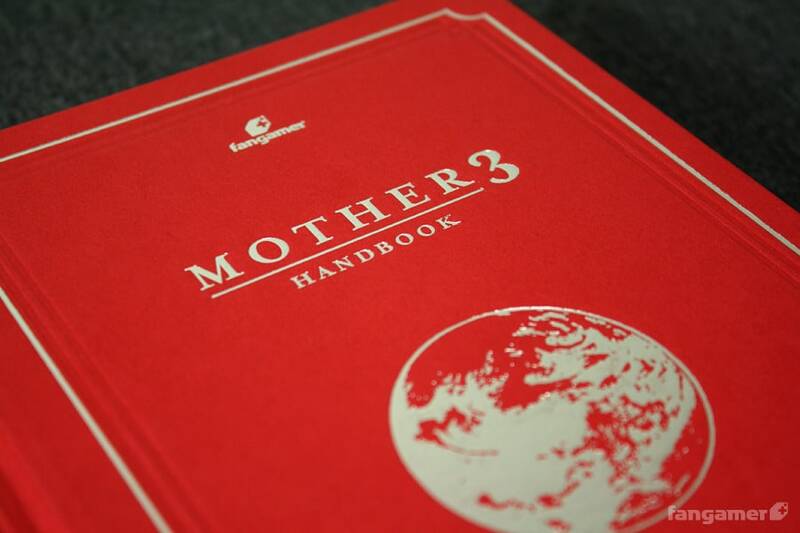 Anyway, many years ago Fangamer printed a MOTHER 3 Handbook, but it quickly sold out. Printing books costs a lot of money, so there was never a reprint… until now. But rather than just do a regular reprint, the guys fixed little things here and there, added a lot more all-new artwork, expanded the info tables in the back of the book, and even printed a bunch with hard covers. So if you haven’t picked up a copy of the book yet, check out all the new stuff here! $20? What a steal! Will be getting this and one for my friend as soon as. I wish I had the money to buy the hardcover. I bought the first edition the moment it went on pre-order and it’s a cherished book in my library. Was a copy ever mailed to Mr. Shigesato Itoi? I don’t think so, all the EB Siege/PK Japan whatever stuff happened in 2007, well before the translation was done. But maybe they sent him one, I dunno. Wish I could get one, lol. A fans real love for such a game series like the MOTHER series is a great love than a COD love from a 10 year old. I’m absolutely drooling for this, but I can’t buy anything online…Still, it looks great! This reprint completely slipped my mind. I’d like one of the hardbound editions. Hopefully they’ll still be in stock when a new shirt I’m interested in comes along. I recently got a Mother 3 Deluxe Box and been wanting to get this book as well. Probably going to get the hardcover. I got one of these! Got the hardcover one, one of the coolest purchases I’ve made lately. 😀 It’s so well made, and so detailed. It’s just awesome. Juuuuuust made my order! I’ve been meaning to get around to buying this thing for years. I can’t wait for it to come! I’ve got an original first run of the handbook, but even I’m tempted by that awesome hardcover! Just bought mine im sooooo HAPPY!!! can not wait to get mine in the mail!!!! Just bought my copy last night. This is the first MOTHER product I have purchased as I’ve only been a fan since mid November. Of all the games I’ve played, nothing has come as close to my heart as the MOTHER series. Just bought my hardcover copy. Nice work!